Nokia 8.1 With 6.18-Inch HDR Display, Dual Rear Cameras Launched. Nokia was launched in India on Monday by brand licensee HMD Global. To recall, the smartphone was launched in Dubai last week. 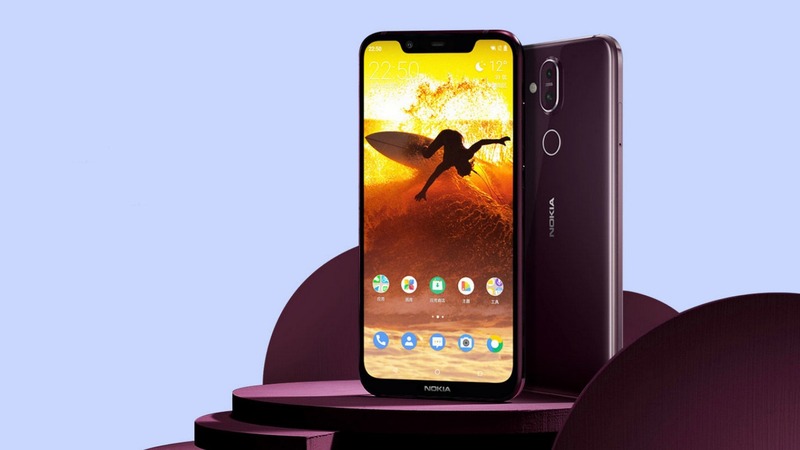 It is essentially the global variant of the Nokia X7 that was launched in China in October. 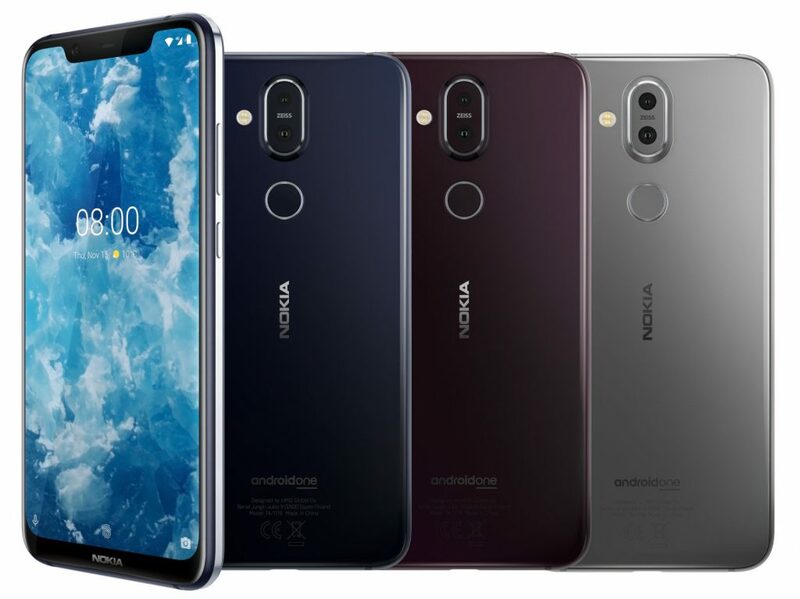 The Nokia has several highlight features, such as the HDR10 supporting display, the dual rear cameras complete with Zeiss optics, and the rather modern Snapdragon 710 SoC from Qualcomm. The smartphone is part of the Android One programme, which assures it of timely updates and an optimised stock interface – it runs Android 9.0 Pie out-of-the-box. Another major highlight feature of the Nokia is the 18W fast charging support on its 3,500mAh battery. The user can buy Nokia 8.1 price in India at Rs. 26,999 for its sole 4GB RAM/ 64GB inbuilt storage variant. It will be available in Blue/ Silver and Iron/ Steel colour variants. The smartphone will go on sale in from December 25 via top mobile retailers (including Big C, Croma, MyG, Reliance, and Sangeetha), Amazon India, and the Nokia.com/phones. Pre-bookings start via retailers and Nokia.com/phones from today, while Amazon India will have a Notify Me page. HMD Global said Nokia 8.1 launch offers to include up to 1TB of 4G data for Airtel prepaid subscribers on eligible plans starting from Rs. 199, up to 120GB of additional data for Airtel postpaid subscribers on eligible plans starting Rs. 499 alongside a 3-month Netflix subscription and a 1-year Amazon Prime subscription. Additionally, those who pre-book the smartphone or select the Notify Me option from Amazon India will get a 6-month screen replacement from Servify. On the other hand, those buying the smartphone from offline retailers (with Pinelabs terminals) will get 10 percent cash back from HDFC Bank on credit and debit card EMI transactions. Notably, the dual-SIM (Nano) Nokia runs stock Android 9 Pie. It is part of the Android One programme that is guaranteed to deliver timely updates. It sports a 6.18-inch full-HD+ (1080×2244 pixels) display with an 18.7:9 aspect ratio, 81.5 percent screen-to-body ratio, HDR10 support, 500 nits peak brightness, and is capable of a 96 percent colour gamut. Finally, the Nokia is powered by an octa-core Qualcomm Snapdragon 710 SoC clocked up to 2.2GHz, coupled with 4GB of LPDDR4x RAM. The Nokia 8.1 bears a dual rear camera setup with Zeiss optics, with the primary 12-megapixel camera featuring a 1/2.55-inch sensor, 1.4-micron pixels, OIS, EIS, 2PD (dual photodiode) tech, and a dual-LED flash. The user will have a secondary 13-megapixel fixed-focus lens for depth sensing. 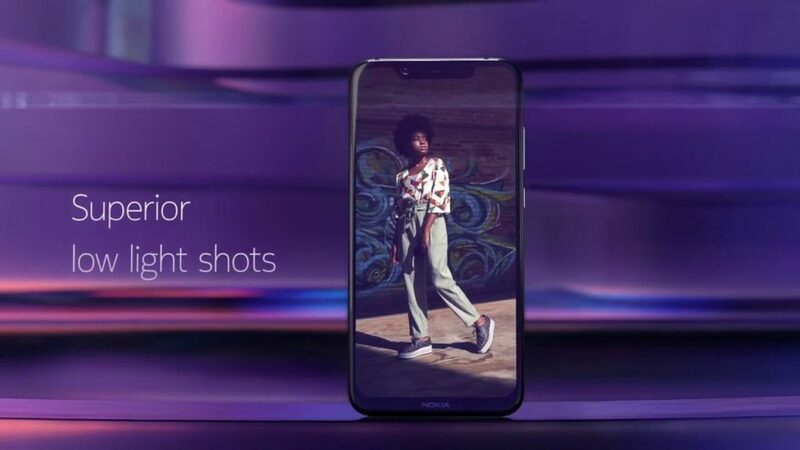 Towards the front, the Nokia 8.1 bears a 20-megapixel fixed focus lens. It has 0.9-micron pixels, and 4-in-1 pixel tech for better low-light photography. The company is touting its Bothie feature, which allows both the front and rear camera to used simultaneously, as well as its Pro Camera UI, with several manual camera options. However, the dual rear camera setup will help create portrait shots featuring a bokeh effect, the company said. There is 64GB of inbuilt storage on the Nokia 8.1, expandable via microSD card (up to 400GB). Connectivity options include 4G VoLTE, Wi-Fi 802.11ac, VoWiFi, Bluetooth v5.0, GPS/ A-GPS, FM radio. Also, there is a 3.5mm headphone jack and USB Type-C port. This smartphone bears an accelerometer, ambient light sensor, digital compass, gyroscope, and proximity sensor. It features a fingerprint sensor on the rear panel. Interestingly, it flaunts a two-tone design. Notably, it is built out of 6000-Series aluminium that has diamond cut edges and has been through two anodising processes. The Nokia 8.1 runs on a 3,500mAh battery. The user can enjoy up to 22 hours of talk time, 24 days of standby time. Additionally, it offers up to 11 hours of video playback. The company is also touting the presence of 18W fast charging. It measures 154.8×75.76×7.97mm and weighs in at 178 grams. The handset features a single speaker design. It also comes with a smart amp, 2 mics, and Nokia Ozo surrounds capture. However, HMD Global also points out that Nokia has Google ARCore support.